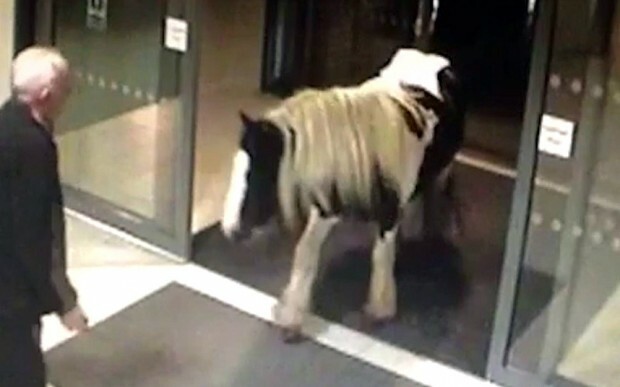 A horse walks into a police station. CCTV caught the moment the animal strolled in Cheshire Police’s headquarters in Winsford. From UK Telegraph pictures of the day collection.